SAN LUIS OBISPO — A project to preserve the former site of a Native American village near Diablo Canyon Power Plant by a Cal Poly archaeology professor and his students, Pacific Gas and Electric, and the yak tityu tityu yak tiłhini — Northern Chumash Tribe will receive a 2018 Governor’s Historic Preservation Award in November. The annual awards individuals, organizations, companies and public agencies whose contributions demonstrate notable achievements in preserving the heritage of California. Six projects will receive awards this year. Since 2009, PG&E has hosted a Cal Poly archaeological field class on the lands near the power plant in collaboration with the Northern Chumash Tribe. The field class focused on Native-affiliated sites with middens, old refuse heaps of domestic waste that have been affected by coastal erosion, public trail access and historic land uses. 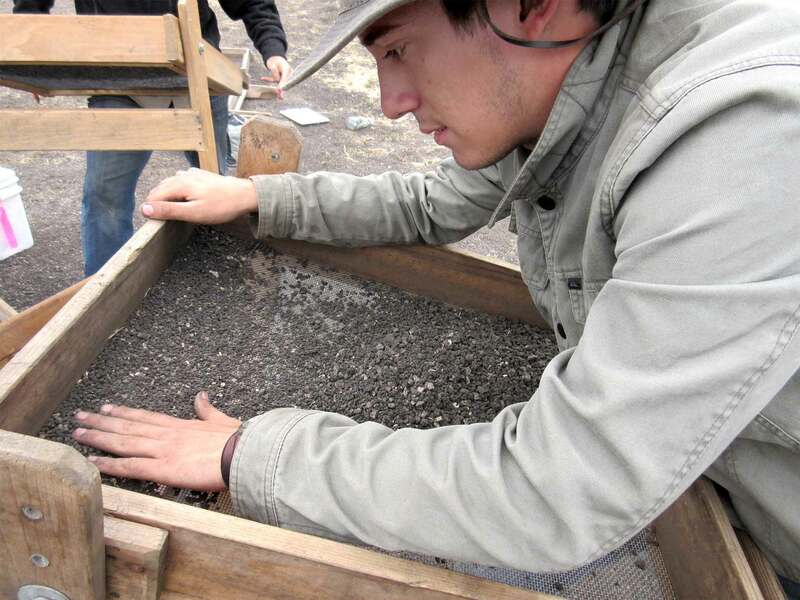 In 2015, the class was held near Pecho Creek, a multi-component site listed on the National Register of Historic Places as a contributing element to the 10,300-acre Rancho Canada de los Osos y Pecho y Islay archaeological district. The restoration area (about 19 acres) corresponds to the former Northern Chumash village site of tstyɨwɨ, and later the site of a Rancho Period adobe — which represents “a microcosm of California history,” according to an overview of the project. The Chumash people’s connection to the land is deep and long; tribal members used the lands around Diablo Canyon as hunting grounds for some 9,000 years. The project site was occupied over several millennia and is unique regionally, representing the Pre-Contact, Mission and Rancho periods. It is the only site so-far reported from this region that correlates with an ethnographic village name — tstyɨwɨ — and the only one that illuminates life on the Central Coast both immediately before and after arrival of the Spanish. It reveals a history of resilience and adaptive change in the decades leading up to eventual colonial takeover. The site was selected “because its integrity was being steadily compromised by cliff-face and creek bank erosion, aeolian erosion and disturbances related to agricultural uses (primarily plowing) dating back to circa 1844,” according to the Governor’s Office. The Cal Poly students, Northern Chumash monitors, tribal representatives, professional cultural resource management archaeologists, and visiting scholars worked at the under the direction of Dr. Jones. In addition, Mike Taggart, PG&E cultural resource specialist for the Diablo Canyon lands, facilitated the Cal Poly fieldwork and development of the restoration project that allows students to come onto the plant property to explore a living classroom replete with rich natural and cultural resources. Jones said about 40 students — 25 students who participated in the field class and 15 others who were in three laboratory classes — were involved in the on-site work that was done between 2015 and 2017. Some of the project materials are on display at the PG&E Energy Education Center, 6588 Ontario Road in San Luis Obispo. The project also played a key role in reuniting the Northern Chumash Tribe with a place imbued with cultural significance and affirming oral history. Tribal officials are pleased with the results. 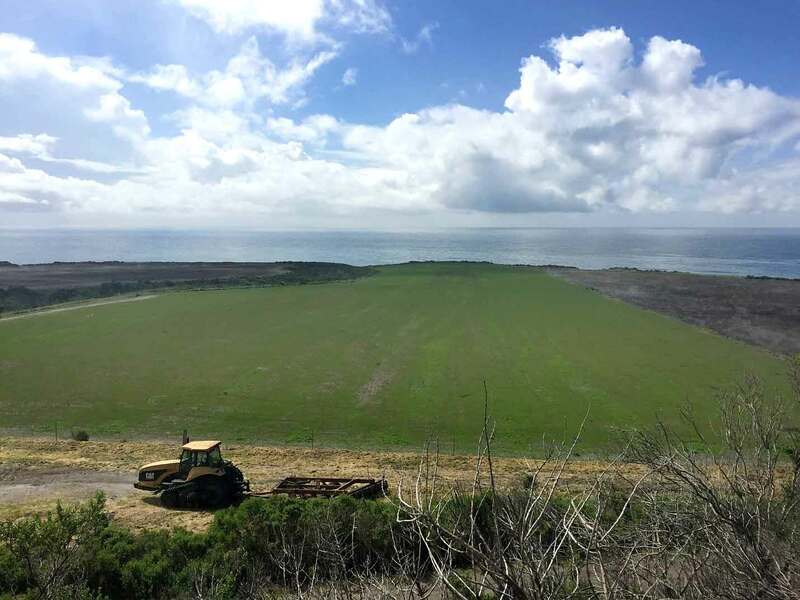 “Over the years, we have appreciated the chance to return to sensitive and culturally important places located on Diablo Lands and to stand where our families stood for thousands of years,” said Mona Olivas Tucker, an Arroyo Grande resident and chair of yak tityu tityu yak tiłhini — Northern Chumash Tribe. No additional archaeological investigations are planned at the site, which has been stabilized after native grasses took root. The Governor’s Historic Preservation Awards will be presented Nov. 1 at the Florence Turton Clunie Memorial Center in Sacramento’s McKinley Park. Established in 1986 by Gov. George Deukmejian, the Governor’s Historic Preservation Awards are presented annually under the sponsorship of the California Office of Historic Preservation and California State Parks to projects, individuals and organizations whose contributions demonstrate significant achievements in preserving the heritage of California. The awards program is distinguished from other preservation awards in two important respects: it emphasizes involvement by community groups; and it recognizes a broad array of preservation activities, including building rehabilitation, archaeology, interpretation, and preservation planning. Since 1986, more than 200 organizations, individuals and agencies have been recognized for their outstanding work throughout the state on behalf of preservation.